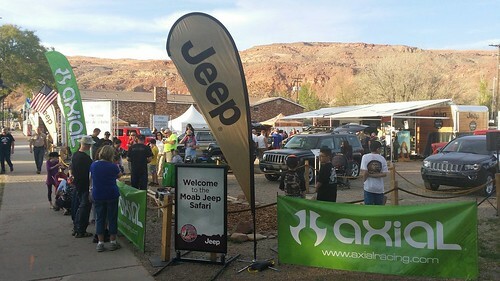 Every spring Axial heads out to beautiful Moab, Utah for Easter Jeep Safari. This is one of the most beautiful places on earth to enjoy outdoor activities. 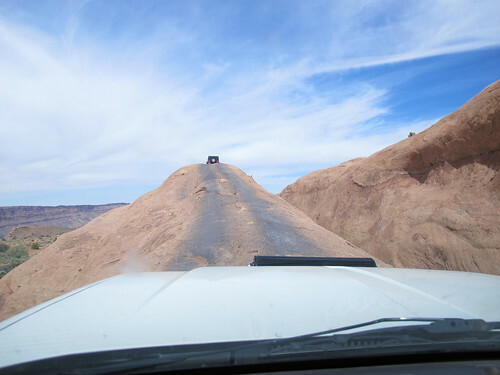 If you are into Jeeping, RC adventure crawling, mountain biking, hiking, or just plain amazing scenery, then Moab should be atop your list of places to visit and enjoy. 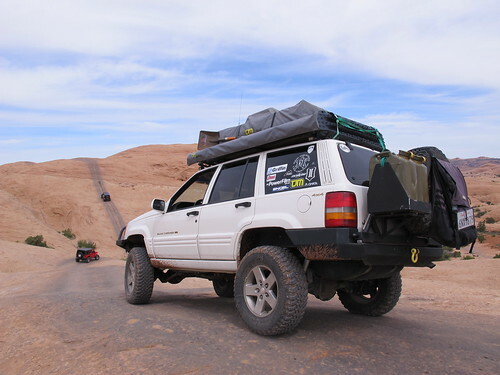 For the entire week preceding Easter Sunday, the who’s who in the 4×4 industry converge on this little town to share their latest off-road equipment, and their time with their clients and friends from within and outside of the community. 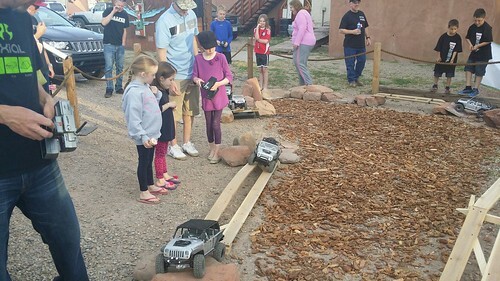 In downtown Moab on Wednesday night, Axial builds the Jeep R/C adventure course. This event is put on by Jeep as a customer appreciation night for all the loyal Jeep fans. 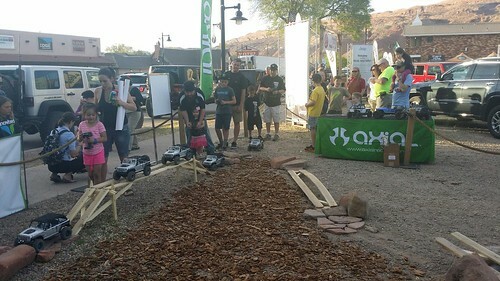 Part of the lot is set aside for the Axial crew to come in and build a fun demo course. 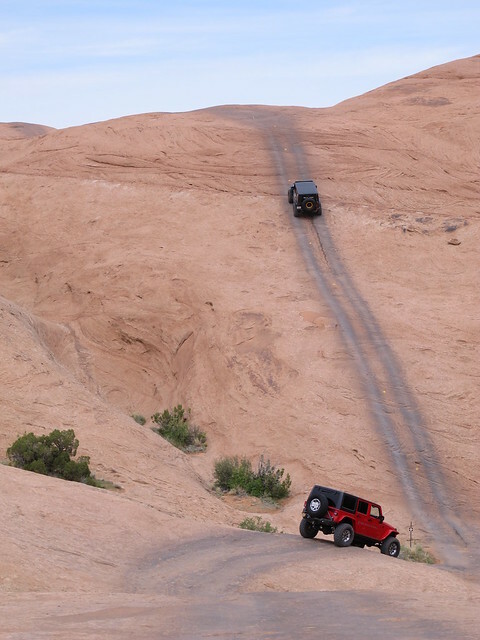 All you have to do is wait in line and you get to try your hand at some scale Jeeping in Moab! This year’s course was a little simpler than previous years, though the man-made obstacles were very cool! 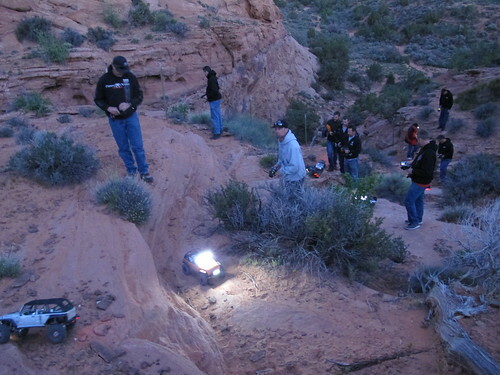 Just after the official Jeep BBQ event, the Axial staff heads off to the “Secret Spot” as it is affectionately called. There is really no secret about it, as it is located right off the main road on the way to steel bender. This spot, however, is absolutely perfect for some scale wheeling. This is the one time of the year that Axial gets a chance to spend some time with all their “Full size” marketing partners. 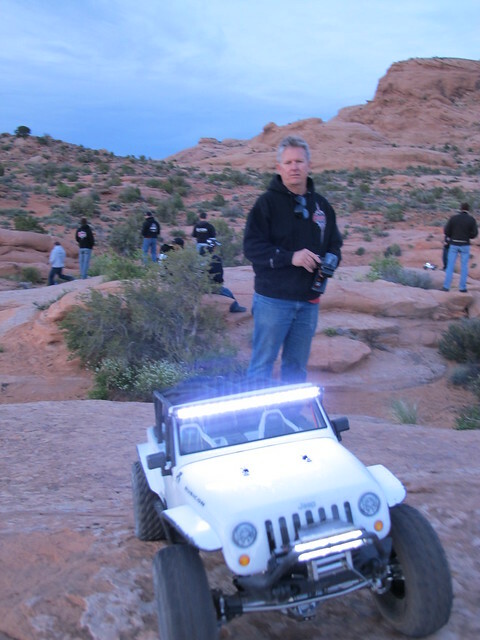 So at about 9 pm, somewhere in the neighborhood of a half million dollars’ worth of Jeeps turn up for a little scale adventure crawl! After a brief safety chat regarding the cliffs we were about to crawl next to, we fired up the Rigid duallys (powered by 3S lipos of course) and shot a quick group pic before hitting the trail….. 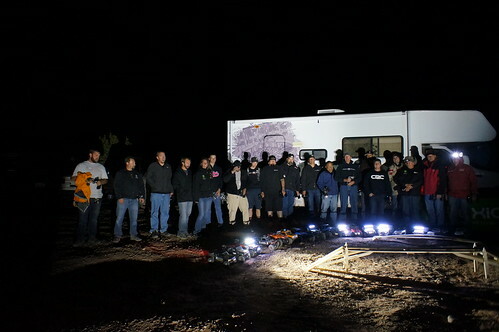 In all, there were 22 of us representing Axial, Poison Spyder, Currie Enterprises, Icon Vehicle Dynamics, Raceline Wheels, CRC, Pull Pal, Rigid Industries and Savvy Offroad. There is something about enjoying this hobby with this iconic group of guys that can’t be beat. This was probably the time of our lives, certainly when it came to our R/C Careers. We were amazed at how much transferred over from full size to scale. 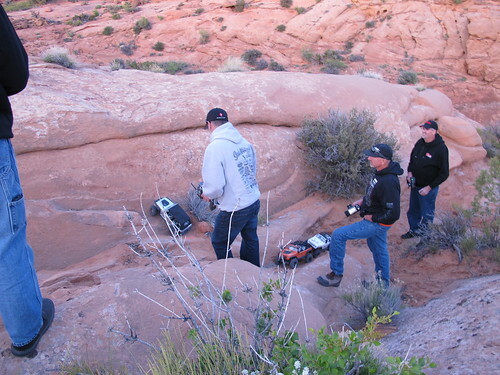 Some of the guys had never driven an R/C vehicle before and picked it up right away. We assume it helped having 20 of their closest friends there helping (Heckling). 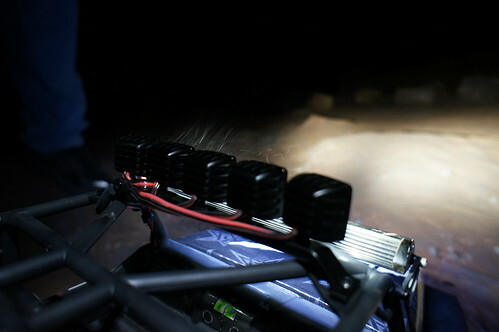 The new Vanquish lights for the RC Jeeps are amazing!! These babies are stupid bright! 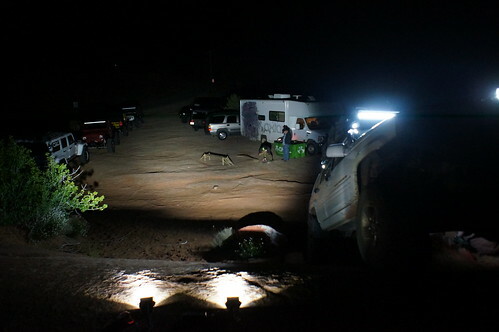 The guys at Poison Spyder put together an awesome little video of the nights action, check it out here! 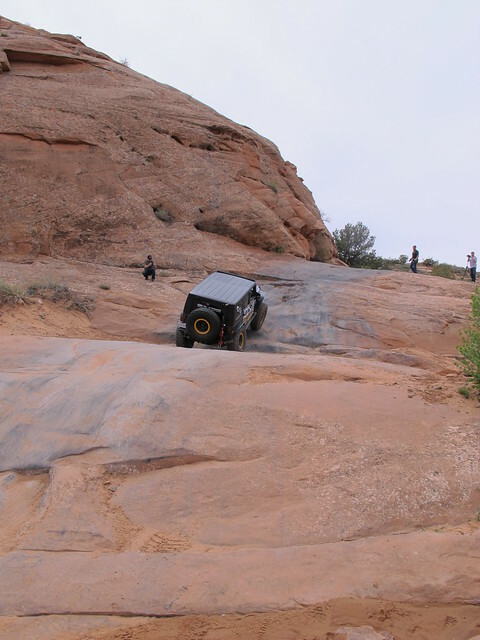 We were able to get out and do a little full size wheeling with the guys from Icon Vehicle Dynamics. 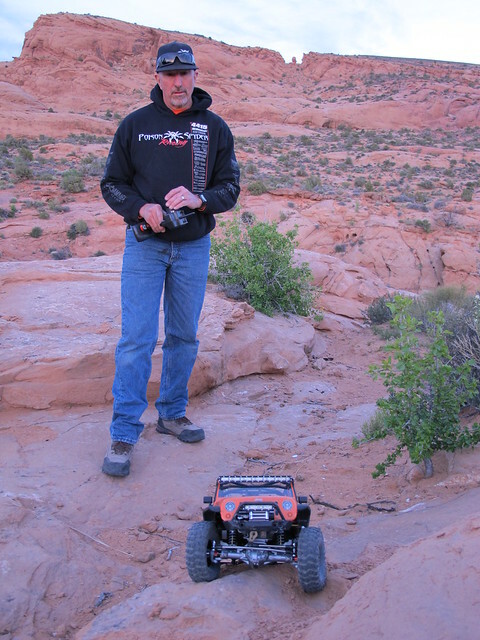 They were kind enough to allow the Axial Grocery getter to come along for a little Hell’s Revenge adventure..